Registration for the driving tour is now open through Friday, August 12. In 2010, the visionary and founding members of our Chapter organized the very first Pacific Northwest BMW Motorfest. A small collection of enthusiasts of the most recent Chapter of the BMW CCA gathered to show their pride and joy with their newest BMW friends. Over the past 6 years, that initial gathering has grown from a good-to-meet-you parking lot meet, to a highly populated car show with music and food, adding a driving tour, adding amazing raffles, and now, after 6 years of their vision, we present MotorFest7. New name: same great event. For 2016, the MotorFest7 car show entry and entertainment package will be offered free of charge to all BMW enthusiasts. The morning tour will be only available for BMW CCA members with an active membership number. Those wishing to participate in the morning tour will be required to register through Motorsportreg.com to ensure your spot in one of the limited tour groups. Registration will be capped at a total 48 cars and there will be no day of event registration. Sign up here. For the third consecutive year, unique Pacific Northwest sourced food and beverage will be available at the no-host service bars graciously provided by Golden Valley Brewery, with your choice of seating near the show lot in the outdoor pavilion, or inside the spacious lodge. Pre-registered drivers only. Please arrive by 9:00 am on August 13 for pre-registration check-in. You and any passengers in your car will be required to sign tour waivers, obtain wristbands after waiver signing, and review and familiarize yourselves with provided tour route information. Mandatory Driver’s Meeting will be held at 9:30 am. All driver’s must be present. The drive will take approximately 90 minutes. There will be staggered starts between the groups. Two-way radios are advised (but not required) in order to communicate with/and hear route update and status from tour group leaders. Please join us for music and entertainment, a no-host opportunity for great food and drink from Golden Valley Brewery, and a spectacular car show. 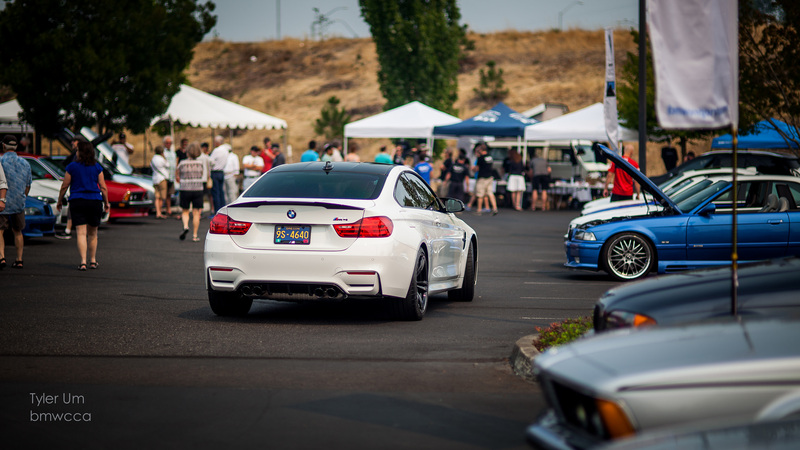 The famous BMW Oregon Chapter Raffle will be open from 11:30 until 2:30pm. Raffle at 2:30pm. Grab your tickets from one of the roving ticket crew and take home some major prizes. MotorFest7 will have one award for 2016; “which car would you take home?” Award ceremony will conclude MotorFest7 at 3:00pm.